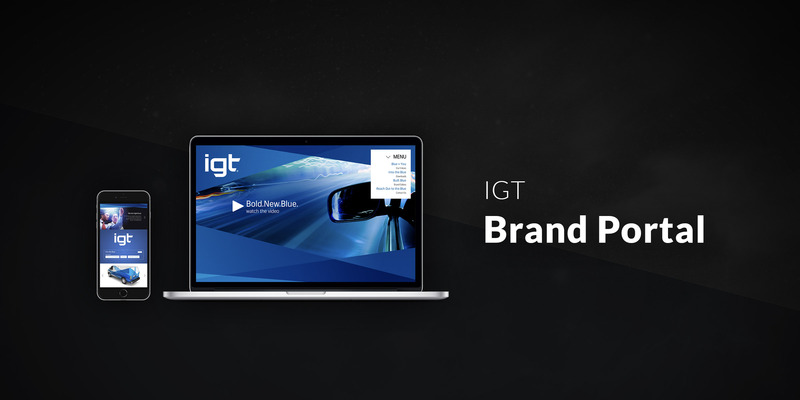 As part of IGT’s web services team, I was tasked to design/develop a new brand portal featuring IGT’s new brand identity and logotype. The site allows views to download an array of IGT documents, IGT signature suite, and more. It also allows employees to explore the new brand, and it’s core values. This site is on a private intranet and cannot be viewed. IGT maintains copyright over any IGT related examples used within my portfolio. and developed with by Scott Patterson.